Portland, OR. 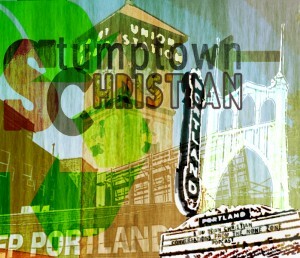 Stumptown. Home of coffee, rain, and The None Zone. More people in the Pacific Northwest check the box “None” when surveyed about religious affiliation. Are we just a bunch of heathens? Or do we take Jesus’s command to “Love one another” seriously while taking Christianity out of the traditional church box? 13 Can You Be Colorblind? A Conversation with Cliff and Diana Chappell and Matt O’Donel About White Privilege and Racism. 34 Jessica Kelley: Lord Willing? Subscribe to Stumptown Christian on iTunes or Stitcher. Leave a comment to let others know what you think. Keep in the loop. Sign up for the quarterly newsletter here!